Tax season has a mixed effect on people. Some people dread it, while others look forward to it. On the one hand, doing taxes is a nuisance and it’s especially painful if you’re paying out of pocket. On the other hand, it’s exciting to get a tax refund and think about how to put that extra money to use. Sometimes, a tax refund can be even bigger than a bonus or a paycheck, and without the income taxes. In all, the IRS paid out $324 billion in tax refunds in 2018 . The average federal tax refund was $2,727. That’s a pretty good chunk of change. If you are expecting a tax refund, it is worth your while to sit down and plan out what you want to do with the money. Otherwise, it might be too easy to spend the money just as fast as you received it. A great way to use tax refund money is to apply it to your financial goals, such as making an extra payment towards your student loans. Below are four reasons why you may want to consider using your tax refund money pay down student loans. No one likes making student loan payments. Taking steps to pay down your loan faster than the stated terms is the only way to make them go away faster. One way to do this is by making extra payments towards your loans. Most loans are on a standard repayment plan of 10 years, but no one says you have to take all 10 years. Making extra payments using tax refund money could potentially expedite your loan payoff. When you use a chunk of change to pay down your student loan, you reduce the overall balance of a loan. But that’s not all; you’re also reducing the number of interest payments you may pay in the future. That’s the beauty of putting extra money towards debt; you’re saving yourself more than even the amount you put towards your loan. If you put your tax refund toward your student loan, you may be able to pay your loans off sooner, thereby saving you money on interest payments over the life of the loan. If your student loans feel like a big fat burden or that they impact your happiness, you’re not alone. A study by SoFi found that 83% of people with student debt felt like they couldn’t relax, and 50% felt that dealing with student loan debt has caused them to feel depressed. Over a third of respondents have reported actually losing sleep due to their student loan debt. It is possible that taking some action on your student loan debt may have a positive mental and emotional effect. Seeing your balance decrease may lift your mood. Your monthly payment will become a smaller financial burden, which in turn may render it a smaller emotional burden. Many people have some combination of federal and private student loans. Some of them might be large, but others could be in smaller denominations. What if you use tax refund to could knock out an entire loan? Not only would this feel great, but it’d mean one less thing to keep track of, reducing the risk of a missed payment and making your financial calendar easier to manage. Whether you are sending in a check or moving money online, make sure to ask your loan servicer how to apply the lump sum to the loan’s principal, and not future payments or other fees. It’s a good idea to first call the loan company and talk to a representative before you prepay. The goal is to have the total balance of your loan reduced, so any future interest payments calculated on top of that loan are done so using the lower balance. If the sum is applied to future payments, it will be divvied up between principal and interest, as your current monthly payments are. If you have multiple loans, you’ll have to pick which one to work on first. The first step is to get organized. Put your loans into a spreadsheet, along with their respective monthly payments and interest rates. Next, pick the loan you’d like to apply your tax refund to using either the debt avalanche or the debt snowball method. 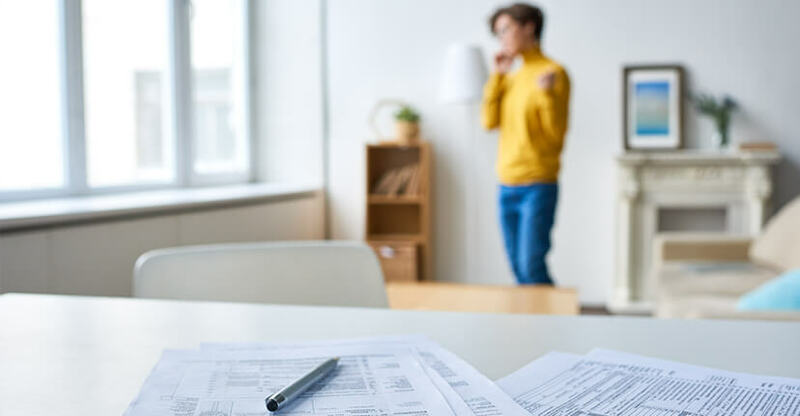 With the debt avalanche , you’ll use your tax refund on the loan with the highest interest rate first, since it’s that’s the one that’s costing you the most money. With a debt snowball, you target the smallest loan balance first, working towards the psychological victory of eliminating one entire source of debt. Using a tax refund to pay down student loans may not be the right move for everyone. Here are some reasons why paying down student loans may not be the ideal way to use tax refund money. If you are currently utilizing one of the federal repayment programs with the intention of having your loans forgiven, such as the Public Service Loan Forgiveness (PSLF), you might want to think twice before paying any additional money towards your loans. To qualify for PSLF , you must use an income-driven repayment plan . On one of these plans, your monthly payment is tied to your discretionary income and family size, and your term is typically extended, which means your monthly payment should be lower than what you would pay on a standard, 10-year repayment plan. The idea is to pay as little as possible while you are working in public service so that the maximum amount of the loan is forgiven at the end of the period. Paying down student loans is a worthy goal, but in some cases, other financial goals should probably come first—such as paying of high-interest credit cards. Credit cards can easily come with an average APR of 17% , which is significantly higher than the interest rate on most student loans. If you have credit cards, you could definitely consider using your tax refund to put a dent in the balance. Could you weather a job layoff or other financial emergency? If the answer is no, consider socking some money away in an emergency fund. It’s ideal to have somewhere between three and six months set aside in expenses before getting too aggressive on other money goals, like investing or paying off loans with low interest rates. If saving six months of expenses seems overwhelming, you can start with $1,000—or the amount of your tax refund. You could move the money into a separate account so that you aren’t tempted to spend it. If you’re looking for other ways to save on student loans, you might also consider refinancing to a lower rate. Refinancing your student loans could save you in interest payments by offering you a refinanced loan at a lower interest rate. Also, refinancing combines your multiple loans into one new loan with one easy monthly payment, so no more keeping track of different payments throughout the course of the month. SoFi offers both fixed and variable rates, and provides an additional discount for automatic payments. If this sounds overwhelming, don’t worry—we make the process easy and transparent. Learn more about SoFi student loan refinancing now. The information provided is not meant to provide investment or financial advice. Investment decisions should be based on an individual’s specific financial needs, goals and risk profile. Advisory services offered through `SoFi Wealth, LLC. SoFi Securities, LLC, member FINRA /SIPC . This article provides general background information only and is not intended to serve as legal or tax advice or as a substitute for legal counsel. You should consult your own attorney and/or tax advisor if you have a question requiring legal or tax advice.